BANGALORE: Infosys's IT business is unlikely once again to give a salary increase to employees in the traditional April-May timeframe. However, the BPO division is expected to announce a single-digit hike in June for lower level employees. BPO revenues grew a healthy 17.8% in 2012-13, compared to IT services that grew sub-6%, which perhaps is the reason why the former is being treated differently. 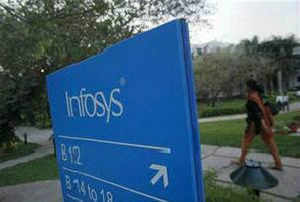 The BPO division has about 25,000 of Infosys's 1.5 lakh employees. Infosys said it doesn't comment on rumours and speculation. The company's normal practice is to give promotion letters and increment letters at the same time. This year, while promotion letters have been handed out, these have not been accompanied by increment letters, indicating that the company is likely to watch what the rest of the industry does before taking a call on increments. Last year, salary increases were given only in October, when the company came under pressure from increments offered by peers. "It's unusual to get a promotion without a salary hike," said an Infoscion, who did not want to be named. G C Jayaprakash, Asia-Pacific technology leader in executive search firm Stanton Chase International, said the industry was not able to sustain the high-growth rates it did till 2006-07, so "the hikes will be muted across the board". Infosys, in particular, has been going through a tough phase. Its revenues have grown significantly lower than of peers like TCS and Cognizant. In a recent stock exchange filing, Infosys said its CEO S D Shibulal took a 27% cut in salary to $119,774 in the 2013 financial year compared to $162,990 previously due to a steep reduction in the bonus component. His bonus dropped 70.14% to $15,918. The same filing, however, also notes that wage hikes are inevitable due to competitive pressures. The company said it has to increase employee compensation more rapidly than in the past to remain competitive with other employers, or seek to recruit in other low labour cost jurisdictions to keep wage costs low. The company said in April that it was working on a new salary structure where the fixed component would be higher. Kris Lakshmikanth, CEO of recruitment firm Headhunters India, noted that the variable payout was as high as 50% of the total compensation at the senior level. "The company's lackluster performance washed out a large portion of the variable pay for employees," he said. The revised structure may be something that employees can look forward to.